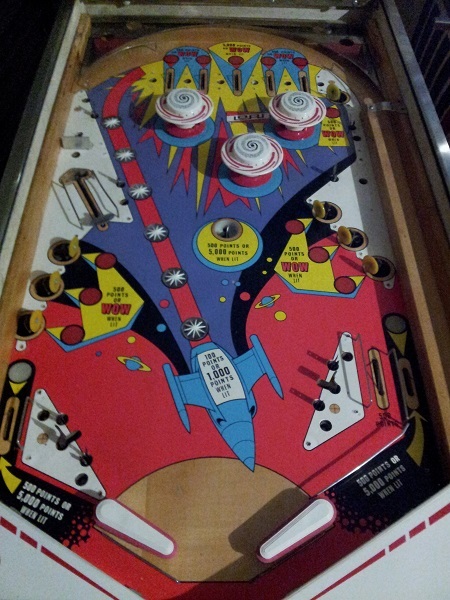 One of the last things I want to do on Space Orbit is give the playfield a good clean, followed by a polish and wax. 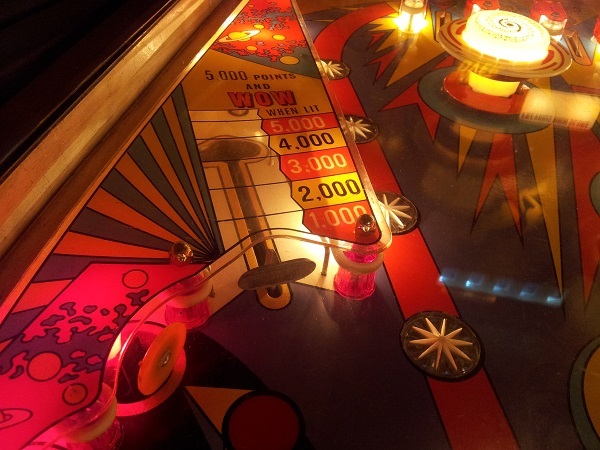 The playfield layout on these older machines is quite simple, so removing just about everything from the top is not too difficult. The simplicity also makes it easier to get back on again without too many chances for mistakes. I started out by removing all the plastics, star posts, bulbs and lane guards. The pop bumpers, flippers and ball guides can stay though, i’ll clean around them. Something that has been been on my to do list for awhile is to make a few adjustments to the chimes. Space Orbit has a 3 chime setup (10’s, 100’s and 1000’s). The chimes work fine, but most of the grommets holding the chimes in place have aged and need replacing. Some posts are missing the nylon washers that sit between the grommet and lock nut too and these need to be replaced. First item on my to do list for this update is to address a small issue with the the add a ball lamps. More specifically, the order in which the light up. There are 5 lamps in total. Each time you are awarded a free ball (achieved by hitting a lit WOW target), a new planet will light up to show how many extra balls you have been awarded. Right now, the order in which they light up is incorrect. They light up in the order 3, 4, 2, 5, 1. A slightly annoying issue that has crept into the Space Orbit machine over recent months is the game serving the ball up at game over. You don’t actually get a free ball as it’s in the game over state (so switches & flipper buttons are disabled), but the ball is served up into the shooter lane as it clicks over to game over. It’s not a show stopping issue as you just shoot the ball and watch it drain before starting a new game. But it’s an issue I’d like to get to the bottom of. As you can see here, the game is in the game over state, with the ball sitting in the shooter lane. 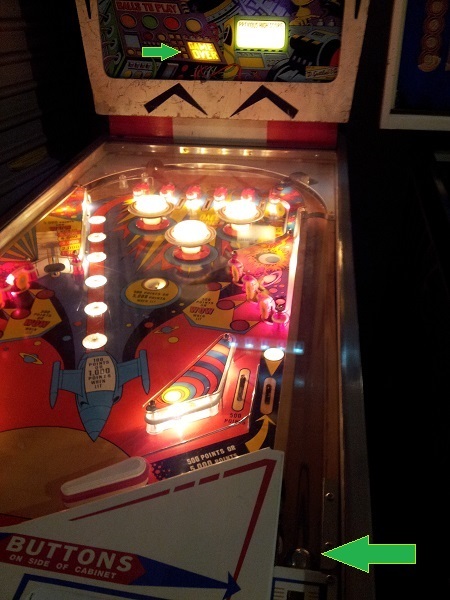 Over 12 months ago I purchased my first EM – Space Orbit – which is a Single player add-a-ball machine that was exported to Italy by Gottlieb. The machine eventually found its way back to Australia, changing hands via the Pinball Shed and a private collector before it reached me. For the most part, the machine has been running fine. 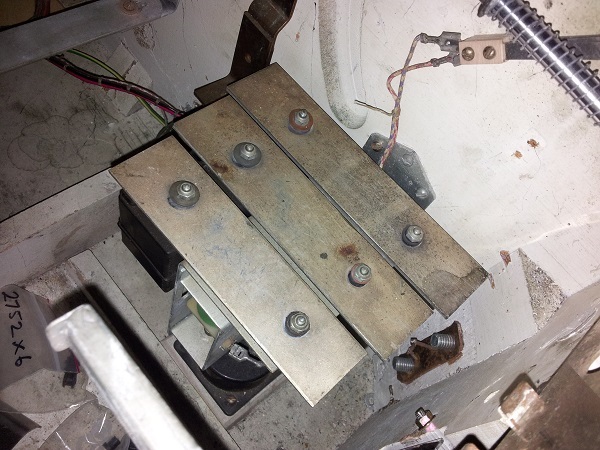 Some initial issue with one of the add-a-ball switches requiring adjustment and the stepper unit that rotates the lit WOW lamps. But that’s about all. My intention isn’t to service the whole machine, but to look at a few issues that have either crept into the game play over time, or have been there since day one and sort them out. The first issue I want to look at is the vari-target. This is one of the main shots on the game, so it’s important it functions correctly. The idea behind it is simple – hit the ball against the vari-target arm as hard as possible to push it back – the further back it goes the more points you get. If you get it all the way back and the lamp is lit – you also score the special (or in this case WOW) – which is a free ball.